British Prime Minister Theresa May returns to No. 10 Downing St. after the no-confidence vote in London. 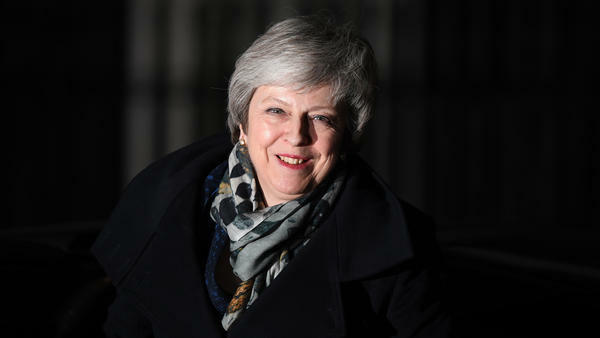 May ultimately won that vote Wednesday and retained her leadership role in the Conservative Party. 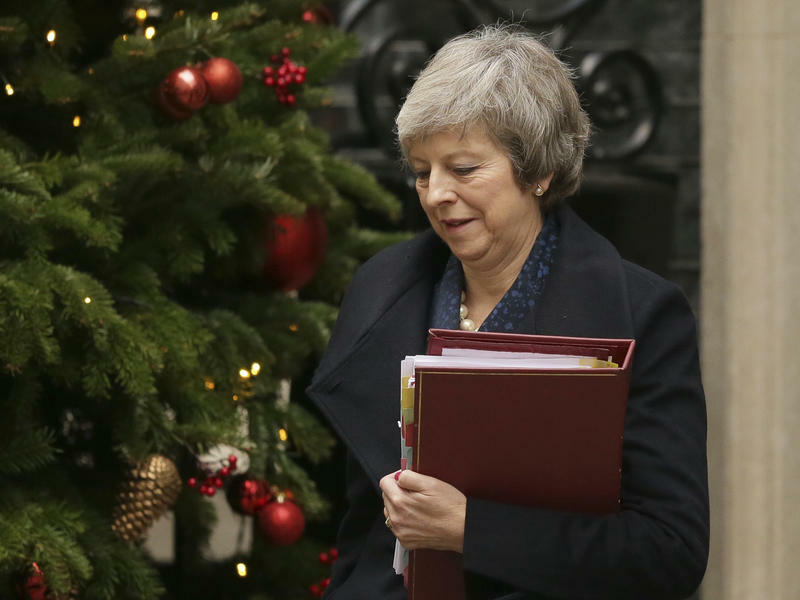 "We now need to get on with the job of delivering Brexit to the British people and building a better future for this country," May told reporters after the vote, standing outside the prime minister's residence at No. 10 Downing St. in London. "A Brexit that delivers on the votes that people gave; that brings back control of our money, our borders and our laws; that protects jobs, security and the union; that brings the country back together rather than entrenching division — that must start here in Westminster with politicians on all sides coming together and acting in the national interest." Still, her daunting task remains: how to cobble together support for the trade deal she negotiated with the European Union. Just two days ago, May postponed a vote on her plan, admitting it would have been "rejected by a significant margin" in Parliament. 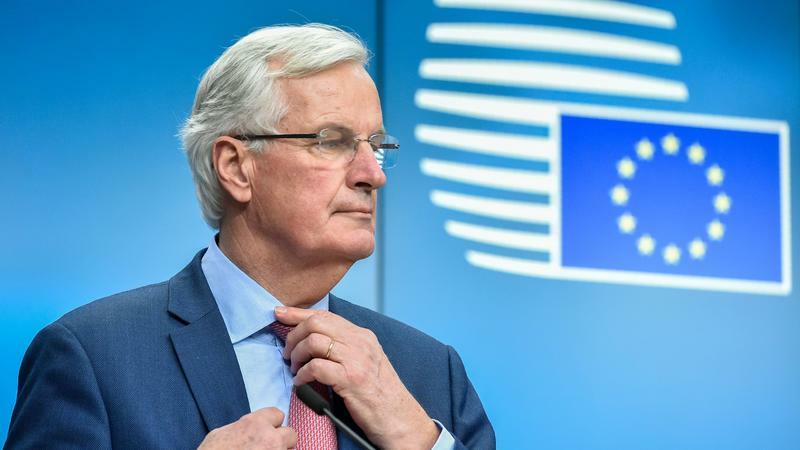 But the delay angered lawmakers, particularly hard-line Brexit supporters within her own party, who already believe the deal hands too much power to the EU. Her Conservative opponents succeeded in collecting the 48 no-confidence letters necessary to trigger a vote on her ouster — a threshold they failed to meet in an attempt last month. Ultimately, however, they couldn't persuade their colleagues to abandon May. The vote, taken by secret ballot, was 200-117 in favor of her continued leadership of the ruling party. Jacob Rees-Mogg, a Conservative member of Parliament who pushed for the vote, cited the number of "no" votes as evidence that May's win was nevertheless a "terrible result" for her. And he kept pressing his case after the result was announced. "She ought to go and see the queen urgently and resign, and I'll tell you why: Constitutionally, if a prime minister cannot get her business through the House of Commons ... and then discovers that the overwhelming majority of her backbenchers have voted against her, she clearly doesn't have confidence of the House of Commons," Rees-Mogg told the BBC. "She should make way for somebody who does." There is some historical precedent for this: Longtime Prime Minister Margaret Thatcher, another Conservative, narrowly won a leadership challenge but still stepped down in 1990. However, the U.K. is now facing an altogether different situation, and urgency may prevail over past custom, as NPR's Frank Langfitt pointed out. 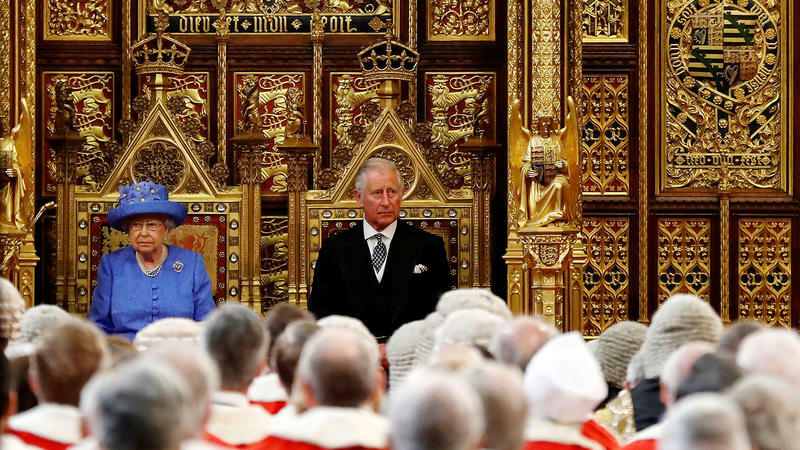 "The United Kingdom is facing its biggest political crisis in decades," he said, "and past traditions seem to no longer apply." If May had lost, her Brexit deal likely would have been lost with her. As it is, her victory keeps alive a proposal that has been buffeted by opposition from virtually every political faction in Britain. The nearly 600-page document lays out a proposed trade arrangement that would take effect March 29, when the U.K. leaves the international bloc it has belonged to for decades. The deal has foundered, in large part, over the complicated question of how the U.K. and EU will treat the border dividing Northern Ireland (part of the U.K.) and the Republic of Ireland (an EU member), short of enforcing a hard border. Roughly a third of May's draft Brexit agreement (or 170 pages) is devoted to the topic, according to the House of Commons Library. "After the U.K. leaves the European Union, Northern Ireland and the Republic of Ireland will be in two separate economies, requiring customs monitoring," Langfitt explains. "No one has come up with a credible way to avoid a hard border, so the deal calls for Northern Ireland to stay in a customs arrangement with the EU until both sides can figure out a solution or work out a new free trade agreement." Some conservatives in particular have objected to this Plan B — known as the "backstop" — saying it would potentially subject Northern Ireland to different regulations than the rest of the U.K. and keep it too close to the EU. After delaying the vote on the deal, May embarked on a whirlwind European trip. She had hoped to get help in changing the terms enough to win over doubters back home. Nevertheless, she returned empty-handed — but not before being briefly trapped in her own car as German Chancellor Angela Merkel looked on. The moment, which saw the British leader struggling to get out of a German sedan with an apparently sticky door, was called both awkward and symbolic of her own trials in office. "She's dogged. She's determined. She's got a real sense of duty. And it's interesting that although the Brexit deal she's negotiated seems to upset just about everyone, she herself has actually gone up in the public estimation over the last few weeks. I think people see her standing there hour after hour in the bear pit at the House of Commons being attacked by people on her own side — mainly men, it has to be said. And I think it — her sort of doggedness — actually resonates with people. "So although she's often seen as rather an unimaginative politician and just really blundering her way through this Brexit morass, in the end, people quite respect the fact that she's still there and she's still standing." Both May and her political opponents have had an eye on the clock as the March 29 deadline approaches, with each side seeking to put pressure on the other to make concessions. And in the background, there has been a recognition that the Brexit process will not be a tidy and painless process, no matter who's in charge. On Wednesday, May embraced what she called "our renewed mission" — "delivering the Brexit that people voted for, bringing the country back together and building a country that truly works for everyone."